After the very controversial first Pixel, Google published a successful second. But is it really successful – did everyone just get used to the fact that the title smartphone for Android now costs not 400 USD, and 1000 USD? The answer can only be given by looking at the evolution of the camera. The third "pixel", as usual, is not sold officially in Russia, but finding it here is not a problem. So talking about him makes sense. The idea to demonstrate the capabilities of your operating system on the most powerful hardware (and at the same time try to earn more in the segment with a higher margin) came to Google not immediately – and caused a storm of disputes. The release of expensive Pixel in a crowded market, especially shortly after the super-successful Nexus 5, posed a risk. Yes, Google can easily afford the risk, in the end the company is not dependent on the sale of equipment, but financially ruin its reputation and completely ignore this market, not as a test ground to test the company's ideas, not out of hand. 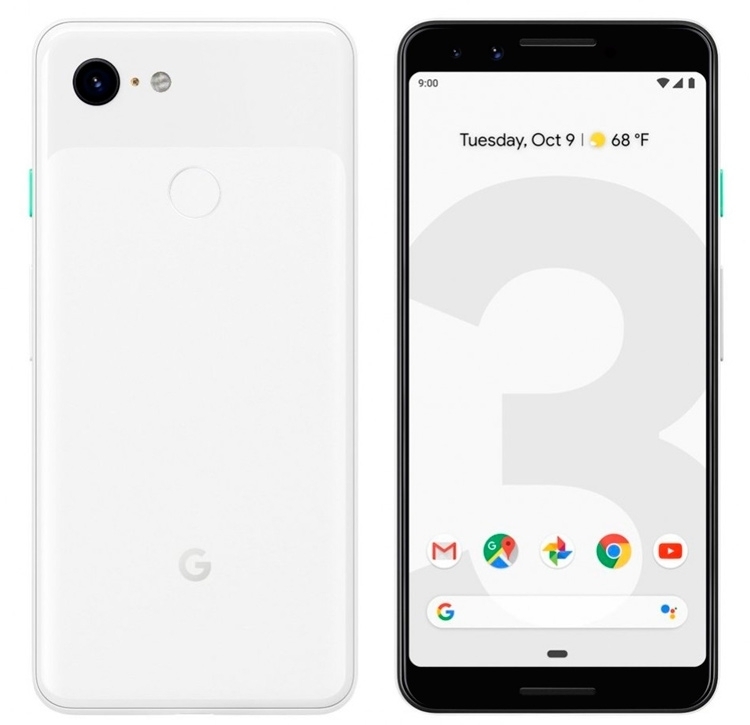 This was well understood after the release of Pixel 2 / Pixel 2 XL – the company reacted very cautiously to criticism and made several powerful moves at the same time in technical terms: from the AMOLED display to the patented HDR + image processing system using a specially designed coprocessor. Combined with the fact that the passion around more than double prices fell, Pixel 2 received a very decent press and normal sales. But what is Pixel 3? Boring evolution in combination with a hateful "bang" – or a continuation of a proven line, supported this time by a breakthrough in the field of the front camera? On the market of flagship smartphones, where competition is growing (mainly due to the strong growth of Huawei), does Google smartphone have any clear advantage over competitors, or, as in the case of the first "pixel", it's all about the mythical "magic of the name" that Pixel 3 / Pixel 3 XL is trying to leave? Pixel 3 XL – push information from the Z-CPU application data. Just like last year, there are two Pixel smartphones – with a relatively small display (now 5.5 inches) and a large display (6.3 inches). They also differ in the capacity of the built-in battery and, of course, in size. The rest are absolutely identical gadgets, almost like Apple. Google began to focus on politics neighboring the Silicon Valley in 2016, releasing its first Pixel. Last year, we tried the "small" Google smartphone ## and this time we did a big one – let's talk about Pixel 3 XL. 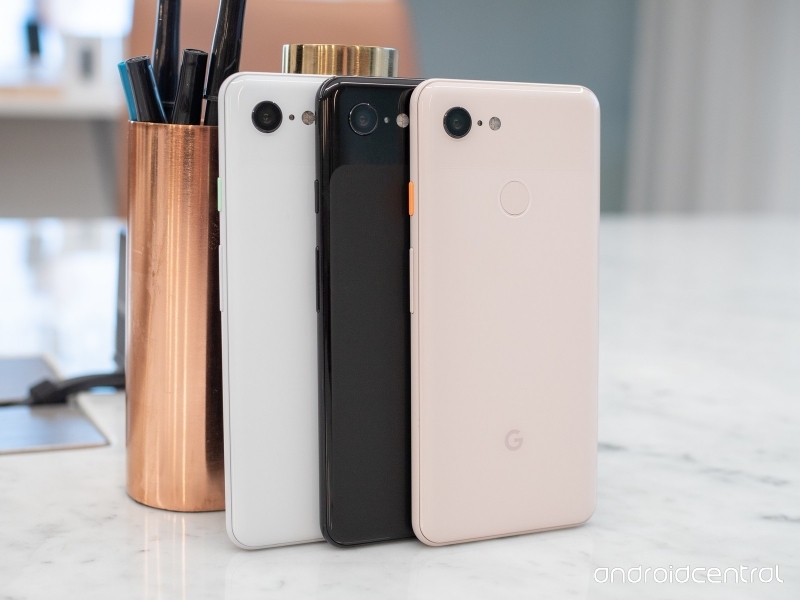 "From the back" of Google Pixel 3 XL is very easy to confuse with the previous version – the same combination of glossy and matte surfaces without edges and with an old-fashioned fingerprint scanner in the center of the rear panel. Exceptional consistency – Google designers do not vibrate, and on the one hand it is correct (the company's identity is created), on the other – it has a huge impact on the desire of previous Pixeli owners to update, significantly reducing it. However, one of the most important motivations is having a newly designed smartphone, thanks to which you not only know about the purchase, but also about what surrounds you. Here he goes to zero. The same applies to the front panel, but for another reason – Google Pixel 3 XL is very similar to the iPhone X or, in this case, XS Max. Yes, there is also a "chin" with a higher speaker, and on the cut we see two lenses at the same time, but the large "monobic" format is almost patented by Apple, and among other companies trying to escape from this pattern (remember: Honor See 20, experiments in vivo and OPPO, Xiaomi Mi MIX 3), of course, now looks a little awkward. Everyone was fluent – and Google was working. Not the kind of behavior you expect from a Mountain View giant. I must say that the "standard" Pixel 3 is devoid of cutting. It is a classic smartphone with a fairly large frame – and looks in this respect, perhaps even more beneficial than XL epigones. What's more, the "bang" on the Google smartphone is higher than on the iPhone or its other imitations, a few pixels more than the status bar. Yes, it maintains a valuable balance of fees in percentages, but the smartphone looks just like that. A boring and unprincipled design can often be compensated by interesting color solutions. Here, Google can offer a pink version, which is usually called Ironically – No Pink. There are also white "white" and black ("black only") "pixels". The housing, as it is now accepted, is covered on both sides with glass (Gorilla Glass 5), but due to the matt surface, the smartphone does not slip into the palm and does not fly away from any not too flat surface – that's a plus. The edges are encouraging – they are made of aluminum, but the plastic inserts for the proper operation of the antenna are well hidden, you can not find them. Although when I was using a smartphone I had a question – does it exist at all? But we will discuss the communication problems below. Like the Pixel 2, there is no analog headphone jack, but the moisture protection class has improved – now it is not IP67, but IP68. You can boldly fill the gadget – well, how boldly, as a guarantee, such cases, as usual, are not covered, but at least formally given resistance to dust and moisture. The set includes wired headphones with a USB type C connector, a Type-C to Type-A adapter (the supplied cable is a USB Type-C format – USB Type-C) and an adapter with a mini-jack for USB Type-C. It seems that it was a proposition with a record number of mentions of the "tayp-si" format, I apologize for this density. Now it's time to talk about what is not included – and there is "the first time" silicone case, standard for everyone except Apple and Google. Because the glass case (Gorilla Glass 5, of course, withstand falls from a small height, but very happy to collect small, but unpleasant scratches), there is nothing to be happy about. Functional elements in their "android" places: on the right side there are three dongles, below the USB port type C and nano-SIM card slot (one and only), stereo speakers are on the front panel, on two sides of the screen – in Sony Xperia XZ3 way. The fact that Google's "pixels" are doing HTC almost say nothing – the smartphones of a Taiwanese company are moving in their own special direction. But Pixel uses something like that – sensitive to compression elements are embedded in the bottom of the body edge, you can "hang" on them some functions or settings. Using it is, in my opinion, inconvenient – even adjustable sensitivity does not help. It was more likely that the Active Edge system interfered with false answers, I did not use it for a week and a half – only at the beginning, out of curiosity. But for someone, this option may be to their liking, only my subjective impressions were higher. But in Pixel 3 he built an excellent vibration motor. Feels as close as possible to what is used in the iPhone & # 39; u – i.e. in the Pixel 3 person, most likely you will get the most pleasant to touch respect for a smartphone with Android. The fingerprint scanner is located on the back panel – the solution is old-fashioned, but the capacitive sensor works quickly and without failure. Screen ultrasound scanners are still far from this level, but according to the concept are of course much more modern and comfortable. Operated by Google Pixel 3 / Pixel 3 XL with Android 9 Pie, regularly updated to the latest version. Google promises that Pixel owners, along with the traditionally unlimited amount of Google Drive to save photos and videos from a smartphone, will receive the fastest updates – but here with the pixel of the company from the Android One pool, such as Nokia, they can argue. But in what they can not argue – in many functions Pixel is normally pushed before all other Android smartphones. The most interesting is not working outside the US – the smartphone is able to "pick up the phone" and ask about the purpose of the connection, providing this information then in the form of text on the screen. Then you decide whether to pick up the phone for real or not waste time on spam. I do not know, it was the function that did not work for us that gave this effect or anything else, but as a result, the ID number worked incorrectly on the Pixel 3 XL test – the number, with rare exceptions, was not displayed. Of the Pixel pop-up features that still worked (and did not interfere with other functions), I would like to mention a rich set of wallpapers and flexible themes matching the wallpaper (choosing a dark or light tone depending on the background color), new gestures (move left). from the main navigation key it immediately returns to the last screen) and the experimental mode, which counts, how many and in what applications you spend time – we have already seen its analog in the latest version of EMUI. Any serious differences from the "stock" of the Android 9 Pie here are not at all. The system works very smoothly, quickly and accurately – the Pixel license supports the reputation, if not the fastest smartphone with Android at the time of its release, it is at least "one of". LCD time is ending – it is almost impossible to imagine an LCD screen in a flagship smartphone. Here and in Pixel 3 XL, a P-OLED panel with a diagonal of 6.3 inches and a resolution of 2960 × 1440 pixels is used. The pixel density is 523 ppi – there will be no problems either when watching 4K movies or when using a smartphone in a virtual reality helmet. Although every month I want to talk about this scenario less and less – despite the development of various APIs and continuous work of companies in this direction, less and less faith puts in the glorious future of mobile systems. The display itself is of very high quality: I can not say anything about the results of an hour and a half burnout test that Pixel 2 had problems with, but with full viewing angles (still OLED). The maximum measured brightness level – 385 cd / m2. For the OLED display the indicator is not extreme – the screen of the same iPhone & x 39; and Xs Max gives up to 521 cd / m2 with its non-deactivating adaptive adaptation. Nevertheless, the company declares HDR support – it is not determined according to this standard, but there are all reasons to believe that we are talking about Mobile HDR Premium, for which 10-bit color and peak brightness is enough 550 cd / m2. Probably under certain conditions the smartphone can provide the necessary parameters. At least it is convenient to use the third "pixel" in the sun and there are no problems with the dynamic range when watching photos and videos. Pixel 2 Pixel 2 Pixel Mapping can be changed if necessary. There are three operating modes to choose from: in bright colors, with natural or adaptive adjustment depending on the information displayed on the screen. By default, the adaptive mode is on, but I measured the color reproduction for the purity of the experiment in only two "manual". Дисплей, как и в прошлом Pixel, настроен очень качественно. При активации натуральных цветов гамма составляет 2.14 – кривые чуть «суетятся» в светлых тонах, но ничего критичного. Цветовая температура близка к эталону – колеблется от 6 400 до 7 200 К с медианой в районе 7 000 К. Среднее отклонение Delta E по расширенной палитре Color Checker (оттенки серого + широкий набор цветовых оттенков) составляет 2.22 при норме в 3 – совсем чуть-чуть не дотягивает до эталонного значения 2.00. Цветовое пространство немного смещено относительно sRGB, но это почти не мешает смартфону отображать цвета очень честно. В режиме ярких цветов картинка визуально холоднеет и становится более насыщенной. При этом на графике цветовой температуры такая холодность почти не сказывается – она ​​снова держится в районе 7 000 К. Средняя гамма составляет те же самые 2.14 а среднее отклонение Delta E Color Checker по палитре оказывается равным 3.04 – притом что цветовое пространство расширено и приближается уже к DCI-P3. Тоже очень неплохой результат – Pixel 3 в Google XL можно смело выставлять яркий или адаптивный режим, если вы любите яркие цвета, и наслаждаться одновременно и насыщенной, и почти естественной цветопередачей. Со звуковой системой Google решила ничего не менять – здесь снова использованы стереодинамики, выведенные на лицевую панель. El по уровню громкости, и по коламиков Pixel 3 XL приближается к лучшему в мультимедийном плане смартфону 2018 года – Sony Xperia XZ3. Увы, по качеству звучания в наушниках – нет. Есть аналоговый переходник, так что можно использовать проводные наушники (а заряжать при этом без проводов – опция такая есть) но рассчитывать на особенное качество звука не стоит. Нет ни огромного запаса громкости, ни по-настоящему серьезной детализации. Вполне обычный смартфонный звук. Еще раз отмечу при этом, что наушники в коробке с Pixel 3 XL есть, в отличие от комплекта Pixel 2 – это неплохо, такая жадность при продаже смартфона за $ 1 000 казалась неуместной.